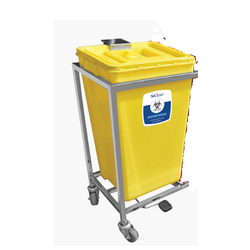 Leading Manufacturer of bulk waste collection trolleys, medical plastic waste bins, ss dustbin, garbage bins, kitchen bins and stainless steel dustbins from New Delhi. By employing our years of practice, we bring forth a qualitative series of Bulk Waste Collection Trolleys that meet on industry demand. Hinged cover ensures hygiene & easy excess for emptying. Mounted on stainless steel load-bearing trolley with wheels. Stainless Steel trolleys enhance the stability & Strength. antimicrobial treated models also available on request. 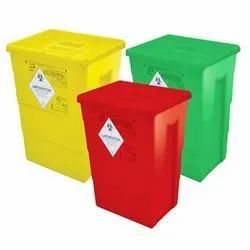 Being a well-known organization, we are also engaged in offering a wide range of Medical Plastic Waste Bins to meet the demands of our clients. These products are available in different range of alluring colors and are offered in different sizes and dimensions. All these products are well equipped and ensure long lasting service. Stainless Steel frame and trolley on castors with foot operating system and one Autoclavable and Environment-friendly. Strong & long life Body. Foot Paddle for touch-less deposit of waste. Anti-Rust foot Paddle connector for longer life. Side foot paddle for convenience of use. Heavy duty wheels for easy movement. Colour coded for waste segregation. 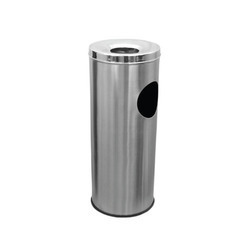 We are among the best name in the market creating the world-class array of SS Dustbins They are available in many specifications. 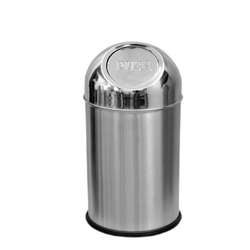 We are the leading manufacturer of Garbage Bins and our product is made of good quality. 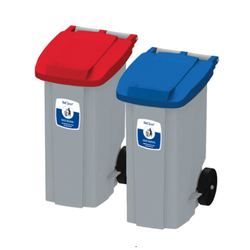 These bins are manufactured by our diligent professionals using quality examined raw materials at highly advanced production unit. 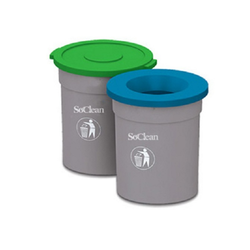 These bins are widely used for keeping the waste material in homes, hotels, and shops. 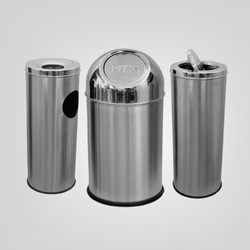 Additionally, the offered Stainless Steel Dustbins can be bought from us at industry leading prices. 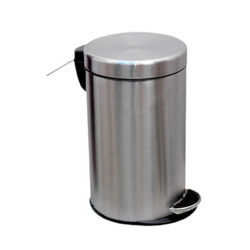 We are the leading manufacturer of SS Hospital Waste Collection Bins and our product is made of good quality. 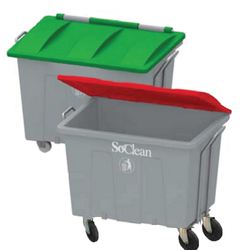 We are the leading manufacturer of SS Pedal Bins and our product is made of good quality. 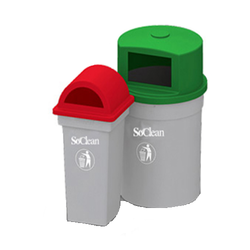 Being a well-known organization, we are also engaged in offering a wide range of Plastic Bins to meet the demands of our clients. These products are available in different range of alluring colors and are offered in different sizes and dimensions. All these products are well equipped and ensure long lasting service. Stainless Steel frame and trolley on castors with foot operating system and one Autoclavable and Environment-friendly. 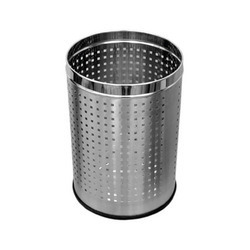 A fascinating range of superior quality Stainless Steel Bins is offered by us to our valued customers. These are fabricated using high-class stainless steel that had been procured from reliable and trusted vendors of the market. Our range of product is available in various sizes and dimensions as per the specifications of our clients at market leading prices. 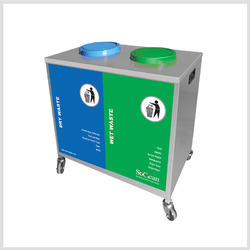 We are the leading manufacturer of Waste Collection System and our product is made of good quality. Stainless Steel body on castors. Easy collection of segregated waste. Swing lid system for easy deposit of waste. Colour coded as per government norms. Easy removal of bins for cleaning.